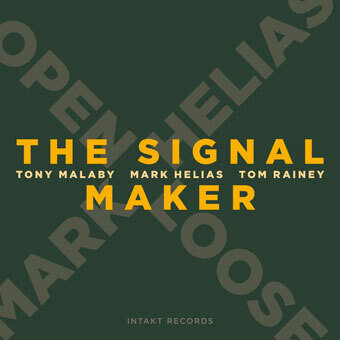 The Signal Maker is the latest effort by the Open Loose Trio, comprised of Mark Helias (bass), Tony Malaby (saxophone), and Tom Rainey (drums). It is a no nonsense affair, muscular in attitude, and as creatively involving as any jazz trio album I have ever heard. Tony Malaby's playing is his finest on record. Prodded constantly by Helias' pulsating bass and Rainey's dynamic percussion, Malaby is stretched well beyond his usual range, notes pouring forth Mahanthappa like in intensity and lyrical, Kontiz like in quiet but intense improvisation. 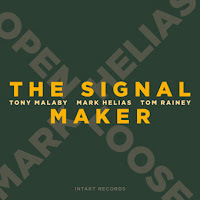 The album opens with the title track "The Signal Maker," with Rainey firing off an opening salvo of cymbals, simmering to a bubbling beat as Malaby and Helias launch into an exhilarating free bop throw down. Other outstanding tracks are: "Ca Vous Gene," with its snake like interplay and rhythm between the musicians and "Post Post," for it's balancing act of delicate emotion that threatens to veer into total chaos. "End Point" is aggressive and fierce, each musician trading blows like fighters, highlighted by an amazing funky break 2/3 into the piece, a counter to the frenetic free form that preceded it. Motoric" by comparison, is straight forward, but Rainey's machine gun beats and changes are outstanding, and Malaby responds with some of his most intensely lyrical playing to date. Throughout The Signal Maker is a passionate, intense work that exploits the best of their abilities. Post bop mixed with improv at its finest. Highly recommended.